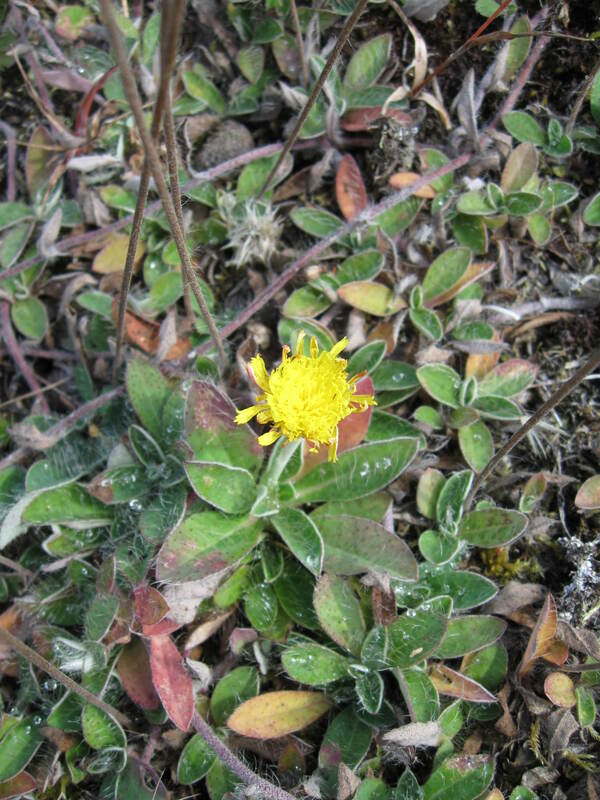 The Mouse-ear hawkweed project began in 2012 and continues to date. This project is funded by the US National Forest Service. Through extensive ground surveys, our special projects technician is finding alarming amounts of this very aggressive plant in critical areas of the Mt St Helens Monument and Elk Refuge where it is prohibiting the growth of sustainable forage for the elk population in the area. In 2012, 53 acres of the refuge land was surveyed and many areas of mouse-ear hawkweed found. 51 new areas of mouse-ear were mapped within a 16-acre area in the monument. Our program staff continues to survey the remaining areas of the refuge and map any new sites found. Project work begins in early summer, then returning to treat the area in early fall. Being allelopathic (producing its own herbicide to prevent other plants from growing around it), this hawkweed grows in dense and sometimes very large mats and excludes desireable vegetation such as forage and native plants. It may also alter nutrient cycling in the soil. These concerning growth traits make our continued efforts critical to ensure the survival of the important wildlife species found in our project area.